These are natural brown raccoon tails. They have not been dyed and so will have variations in color. They come in a variety of sizes, with lengths that range from 4" to 14" (10 cm to 36 cm). 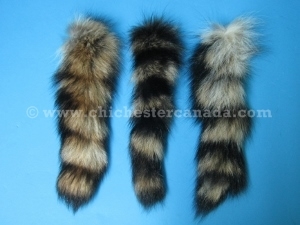 We can turn these into a raccoon tail keychain for an additional C$3.25 per tail. Just let us know if you want a nickel or gold mesh or snapback keychain and fur clasp. 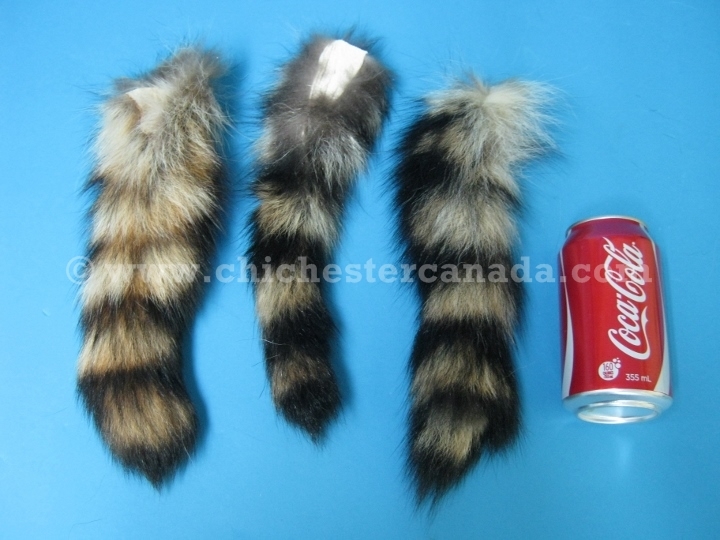 We also have pre-made tail keychains. Raccoons are not endangered and are not subject to CITES controls.